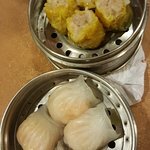 I have grown up eating dim sum and have been to Chinese restaurants in the U.S., China, and Hong Kong. 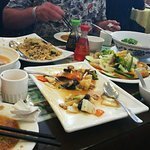 I was craving Chinese food, but especially dim sum during my last visit to Costa Rica. 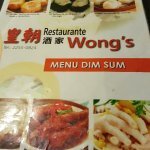 I was very pleasantly surprised to find authentic Chinese-owned restaurant in San Jose, Costa Rica. 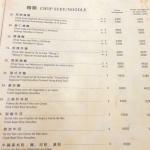 I was even more surprised as to how good the dim sum was. The food was hot, the serving sizes were pretty big, the food was delicious, and the price was really good. For 2 people, we ate a pretty big meal and it was under $20 total. 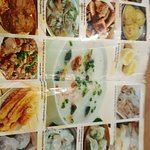 I definitely recommend eating here if you are passing by San Jose and suddenly crave some Chinese food. We came here for dinner on our first night in SJ, the restaurant was really busy with only 3 waiters rushing around with orders, food and cleaning. 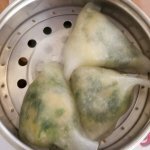 We had har gow (prawn dumplings), siu mai (pork dumplings) - not the best but traditional and authentic (i'm from Hong Kong and have tasted enough dumplings to judge the good and bad! 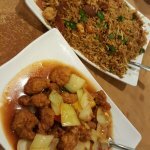 We also ordered the Guangzhou fried rice (biggest plate of fried rice ever! 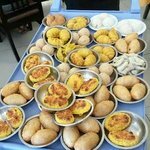 only order this if theres more than 4 of you or you are very very hungry!).. tasty bmbut i would choose the BBQ pork (cha siu) instead of the mixed meat. Sweet n sour pork was good but again very big portion. We definitely ordered too much food here! 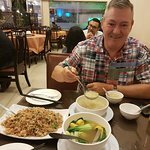 Was interesting to see all the locals eating dim sum for dinner here and for once i felt like the odd one out! One of our regular haunts when we're in San José. The Dim Sum is decent (not the best but ok) - we especially like the steamed Shrimp Dumplings with Celery. Right across the street from the Jade Museum and the Artisans' Market - very convenient rest stop after all that sightseeing work. Recommended. I'm a rookie at the dim sum thing but it was very good in my opinion. Fast service and large portions so maybe order and if it's not enough after you eat order more. Way to pricey and it's grungy looking for a totally favourable rating. Not that cosy and clean looking restaurant but very good food! Very large portions. Be carefull ordering appetizers and sides...but not expensive so no worries if you order too much. Been to Wong's? Share your experiences!